MIAMI—Despite having high expectations heading into the 2010-2011 season, the Miami Heat suffered the worst regular season record of all-time Wednesday, limping to a painfully humiliating 58-24 and finishing an embarrassing second place in the Eastern Conference. 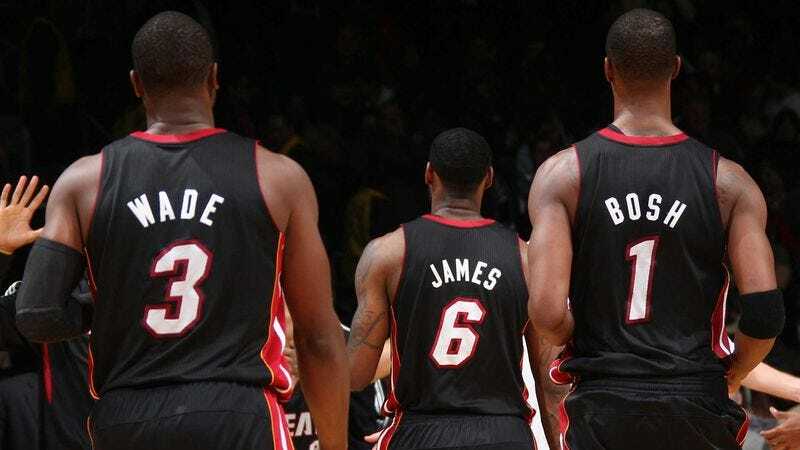 "The Three Kings experiment is officially a disaster," said TNT basketball analyst Charles Barkley, who later called the Heat "pathetic" because the team only won a league-best 28 times on the road. "Two dozen losses and guaranteed home court advantage for two rounds of the NBA playoffs? Wow. This team owes an apology not just to its fans, but to the entire league." Sources confirmed this may have been the single worst performance by any team since the 1995-1996 Chicago Bulls lost a regular-season road game to the Denver Nuggets.